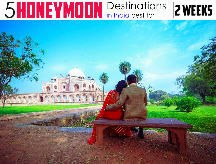 Arrives Bangalore Airport or Railway Station, assisting all arrival formalities, and you will be transferred to Mysore. 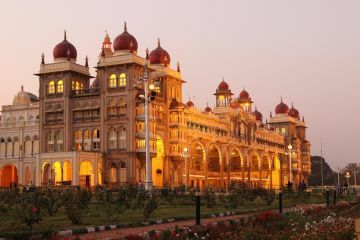 Mysore is a city of palaces, gardens, shady avenues and sacred temples and retains some of the charm of the old world with its many institutions that propagate Carnatic Classical music and dance. Enroute Visit Srirangapatna and Tippu Sultan Summer Palace . On arrival check in at Hotel. 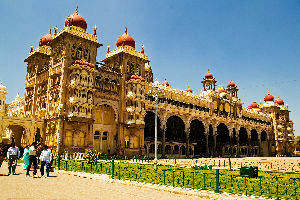 Later depart to enjoy half day sightseeing tour of Mysore visiting Palace, Zoo & Museum, Chamundi Hills, Brindaban Garden and St. Philomena's Church. Overnight at Hotel in Mysore. Morning proceed to Coorg. 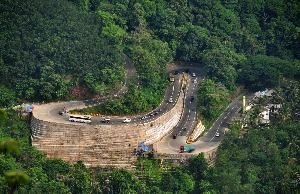 Coorg is also known by Kodagu the original name of kodagu is Kodaimalenadu means 'dense forest on steep hill'. 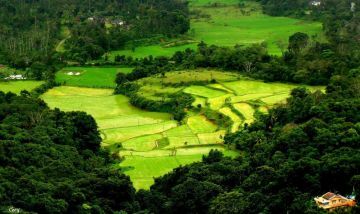 Coorg ‘The Scotland of India’. located on the eastern slopes of Western Ghats. Enroute visit Tibetian Monastery, Dubare Reserve Forest and Nisargadhama Forest. On arrival at Coorg, check in at Hotel. Later in the day free for leisure. Overnight at Hotel in Coorg. Morning proceed too Wayanad. 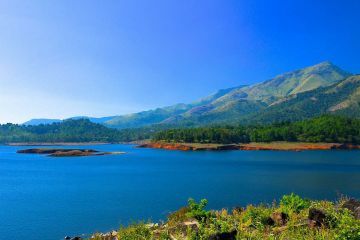 Wayanad, the green paradise is nestled among the mountains of the Western Ghats, Clean and pristine, enchanting and hypnotizing, this land is filled with history and culture. Strikingly scenic, it is known for its sub-tropical savannahs, picturesque hill stations, sprawling spice plantations, luxuriant forests and rich cultural traditions. On arrival check in at Hotel. Later in the day free for leisure. Overnight at Hotel in Wayanad. Morning proceed to Ooty. Ooty is a popular hill station located in the Nilgiri Hills, which is deep within the Nilgiri hills, is also known as The Blue Mountains, queen of hill stations. 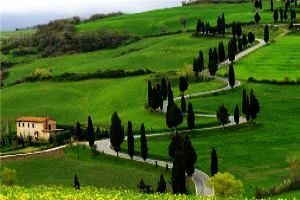 It is a land of dreams and a picturesque hill station. On arrival check in at Hotel. Later in the day free for leisure. Overnight at Hotel in Ooty. 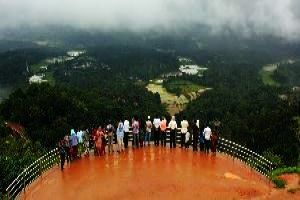 Morning depart to enjoy full day sightseeing tour of Ooty visiting Botanical Garden - spread over 22 hectares ascending the slopes, Rose Garden, Ooty Lake, Ketti Valley View, Doddabetta - offers an unbelievably beautiful view of the surrounding topography and Pykara Lake. Later proceed to Coonoor. 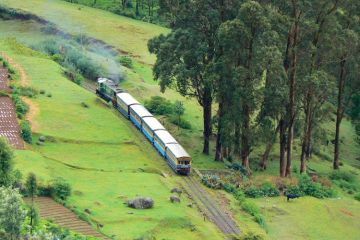 Coonoor is the second largest hill station in the Nilgiris, surrounded by tea plantations, at an altitude of 1839 metres. Coonoor is essentially a small tea garden town where the weather remains pleasantly cool throughout the year. On arrival visit Highfield Tea Factory, Lamb’s Rock, Dolphin’s Nose, Tiger Hill Cemetery and Sim’s Park. Evening free for shopping at Ooty. Overnight at Hotel in Ooty. Proceed to Bangalore. Bid farewell to this serene land as your holidays comes to an end as you get transferred to Bangalore Airport or Railway Station for your onward journey back to home. Latest trip ideas: » Top dog resorts in India, for your baby pooch! » Free and cheap things to do in Pattaya » Your quick guide to Bali » Weekend Getaways From Mumbai » 8 Best Bars & Clubs in Bali » Look At The Top Beach Resorts In Bangkok » The best luxury hotels in Dalhousie » How to reach from Bangkok to Pattaya » Push yourself to finish these 10 treks before you hit 35 » Weekend Getaways from Kanpur » A Guide To Nepal Tourism » Weekend getaways from Kochi » HBO has hidden six thrones of GOT across the world for you to hunt down » Weekend Getaways from Chandigarh » Best Places to visit in Krabi » Weekend Getaways from Lucknow » 8 best places in pattaya for shopaholics » Best Places for shopping in Nepal » Your Shopping Guide in Bangkok » Best Nightclubs in Bangkok » Worst Traffic Cities In the world » Luxury hotels for your perfect stay in Ireland » Weekend Getaways From Shimla » Places to see in Northern Ireland » The top 4 cities in America that you must explore » Best Restaurants in Nepal » Luxury Hotels In Myanmar » Weekend Getaways from Indore » 5 best places to shop in Bali » What you should eat in Rishikesh to enjoy the local flavour?